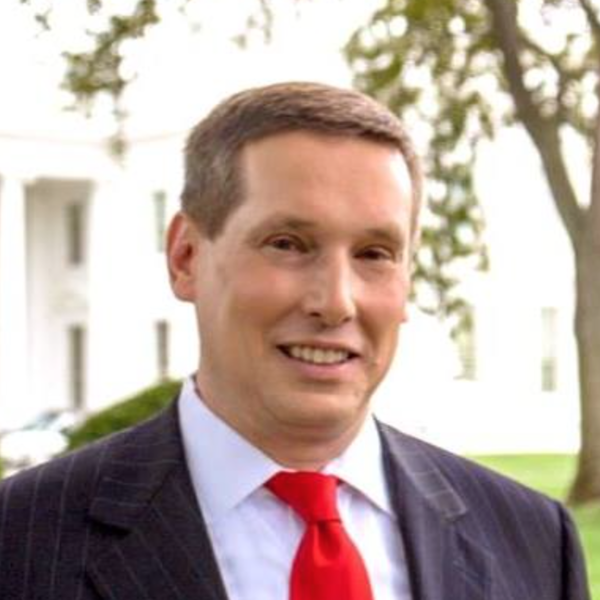 A frequent speaker at presidential libraries and business groups, Paul Brandus is an award-winning, independent member of the White House press corps. The founder of West Wing Reports ®, he distributes TV/Radio/Print content to clients across the United States and overseas. The author of the acclaimed "Under This Roof: A History of the Presidency in 21 White House Rooms," and author of the upcoming "This Day in the Presidency," he is also a Washington columnist for USA Today and Dow Jones/MarketWatch. His background includes NBC News, including several years based in Moscow, CNBC, MSNBC, Fox News and several years on Wall Street. He is a member of the White House Correspondents Association, National Press Club and recently completed three years on the Board of Directors of the Overseas Press Club of America. An innovator in social media, Brandus's Twitter account @WestWingReport is the biggest among all accredited members of the White House press corps. In 2011, he won the Shorty Award for "Best Journalist on Twitter," sponsored by the Knight Foundation. Mike B. for Meet Me at the White House! This is a must for anyone truly interested in the history of the White House, and the Presidency. Paul has a wealth of knowledge that he very much enjoys sharing. He encourages questions as you go along and isn't stuck on any particlur script or sequence. Besides learning a great deal, I was very much entertained by the stories and opinions Paul offers. If you have the privalige of taking this tour, I highly recommend it. Highlight of my trip, thanks Paul! Kathy B. for Meet Me at the White House! We enjoyed the tour with Paul and would recommend it to anyone. We had no expectations and were pleasantly surprised and everyone in our group discovered more about the White House. John A. for Meet Me at the White House! My family and I thoroughly enjoyed Paul's walking tour in front of the White House. Not only was he very knowledgeable on the history of the White House and the Presidents, but he was also very personable. It says a lot when both of my teenagers enjoyed the experience. Nima B. for Meet Me at the White House! We had a great time on this tour. Paul knows a lot of interesting facts about the White House. He is friendly, knowledgeable, and open to questions. Carol W. for Meet Me at the White House! In September, 2013 my husband and I had the opportunity to travel to Washington, D.C. For me, as a former speechwriter to a politician in Canada, this was the trip of a lifetime. It was a goal of mine to see the White House and therefore I was very disappointed to learn, that due to mandated budget cuts, the inside tours of the White House were not available. Fortunately, through twitter via Paul Brandus @WestWingReport I became aware of the White House Tour. The White House tour with Paul Brandus was an amazing experience. Paul provided detailed information of presidential history, policy, politics and even some inside information about the dynamics of the White House Press Corps! I highly recommend booking the White House Tour with Paul Brandus. It was an honour to meet this award winning and influential journalist and to learn detailed historical and current information about the White House. It was an experience that everyone should have! As well, I must add that Paul Brandus is a very friendly, amiable and obliging individual.Throughout the tour he encouraged us to ask questions. Also, I highly recommend that you follow Paul Brandus on twitter @WestWingReport to learn further information about the President and Washington, D.C. politics. Sue R. for Meet Me at the White House! Jp M. for Meet Me at the White House! My family and I met Paul on the north side of the White House in early August. Despite having varying levels of interest in politics, we all really enjoyed Paul's tour. He went room by room across the White House, and answered any and all questions we had about him, his work, White House correspondents generally, and of course the President and White House. He was able to give us an idea of that world that I don't think we would have gotten even if we had spent hours reading books on the same subjects. If White House tours are still cancelled when you next travel to Washington (or even if they're not), I highly recommend meeting Paul (and asking him as many questions as you can think of!). Tony V. for Meet Me at the White House! Paul's tour was excellent! Paul spoke to our group of 12, ranging in age from 16-65, and engaged us all in the stories of the White House and its occupants. Everyone in our group found the tour exceptional. Paul even took the time to learn about what we were doing in the city (working with agencies helping the needy across DC) and tailored his tour to some things that we were interested in. Thanks for a great visit! I'd recommend this tour to anyone! Victor E. for Meet Me at the White House! Even though we had to stand across the White House because a protest forced a security perimeter, Mr. Paul made it incredibly enjoyable and informative. Definitely worth it! Lucas H. for Meet Me at the White House! My family and I had a great time on this tour. The tour guide, Paul Brandus, is very informative and knowledgeable. I highly recommend this tour for anyone interested in learning about the White House and its history. It is also a unique opportunity to talk with someone who works inside the White House -- which does not happen every day! All reviews for Paul B.